• Records the results of each task in the right hand column with a "Y" for a satisfactory completion of the task or an "N" for an unsatisfactory completion. c. Mounted Combat Exercise. The mounted combat exercise gives the gunner and the crew practice fighting from a vehicle. It is held as often as the commander feels necessary to maintain crew skills (Table I-3). (1) Time the gun crew while they place the MK 19 into operation on its organic carrier. Carriers may be HMMWVs, 2 1/2-ton trucks, M151-series utility trucks, or M113-series APCs. (2) Using the time-and-hit standards, give the gunner and crew a series of single and multiple targets to suppress or kill in their sector of fire. (3) Upon completion of mounted firing, time the gunner and crew while they take the MK 19 out of operation. 1. Mount the MK 19 on its organic carrier. Given a MK 19, organic carrier, and a selected firing position. Gun crew must mount the MK 19 on its organic carrier within 2 min. 2. Engage a BMP target at 400 meters while mounted. Given a MK 19, organic carrier, 4 rds of 40-mm TP, and a selected firing position. Gunner must impact on the BMP target with at least 3 out of 4 rds at 400 meters within 1 min. 3. Engage a BMP target at 800 meters while mounted. Given a MK 19, organic carrier, 8 rds of 40-mm TP, and a selected firing position. Gunner must impact a BMP target at 800 meters with at least 3 out of 8 rds within 1.5 min. 4. Engage a 600-meter (area) target. Given a MK 19, organic carrier, 6 rds of 40-mm TP, and a selected firing position. Gunner must impact at least 4 out of 6 rds within 5 meters of a troop silhouette at a range of 600 meters. 5. Engage a BMP target at 1,100 meters. 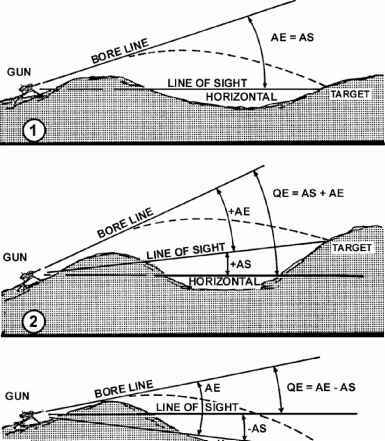 Gunner must impact the BMP target area at 1,100 meters with at least 2 out of 8 rds within 2 min. 6. Dismount the MK 19 from its organic carrier. Given a MK 19 and an organic carrier. Gun crew must dismount the MK 19 from its organic carrier within 2 min.